With the deadline having past for players to waive or not waive their no-move and no -trade clauses, certain things are starting to become more clear. However, new questions arise as unexpected twists have entered the picture. Among them are what’s going to happen to players like Kevin Bieksa in Anaheim and Scott Hartnell in Columbus. So too, trade winds are starting to pick up on players like Jordan Eberle of the Edmonton Oilers, Sami Vatanen of the Anaheim Ducks and Mike Smith of the Arizona Coyotes. So what does this mean? Well, logically, only one of three things. 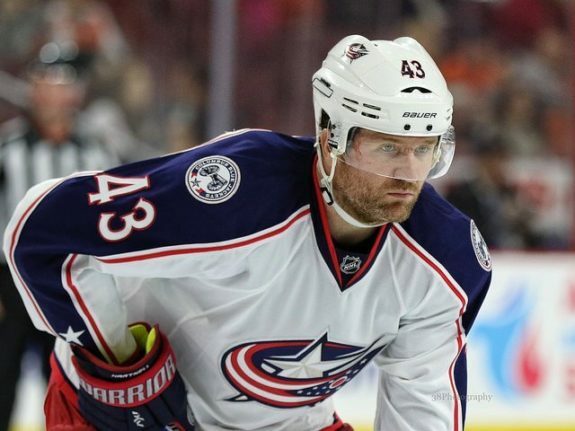 Either, the Blue Jackets have conceded to losing a player like Josh Anderson, they have a pending trade in the works with the Golden Knights or they intend to buy out the remainder of Hartnell’s contract. A buyout could happen as soon as this Thursday. Buying out the final two years on Hartnell’s contract would save the Blue Jackets $2.5 million over the next two years and would clear $3.25 million in their salary cap hit for the upcoming season. More importantly, it would clear a spot to protect an additional forward — likely Anderson. At this stage, neither Jarmo Kekalainen or Scott Hartnell are willing to comment on the decision. The Nashville Predators are one of few teams likely protecting eight players in the expansion draft versus seven forwards and three defensemen. Because the Predators have such valuable depth on their blue line, the risk of losing a quality defender is too high. As such, a respectable forward will be left exposed. 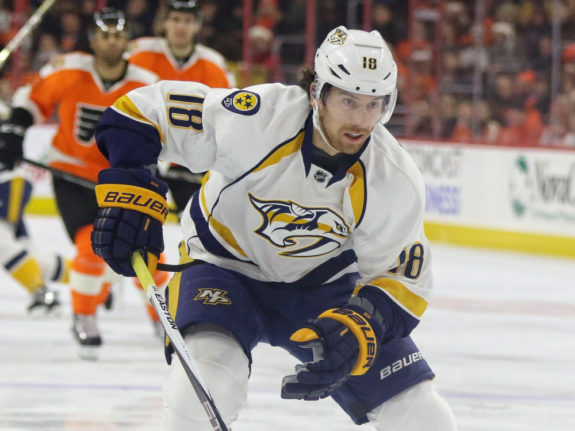 Most believe that either Calle Jarnkrok or James Neal will be on the way out. TSN’s Pierre LeBrun seems to be leaning towards the possibility that Neal is the odd man out. This is in no way a for sure, but the logic is sound enough that there may be something to it and it’s a surprising development if true. Neal has one among the most consistent scorers in the NHL over the last few years and would immediately help a Golden Knights team who may be in tough to score goals during their inaugural season. Neal is still only 29 years old and he scored 23 goals and added 18 assists in 70 games during the regular season this year. He added six goals and nine points in the team’s playoff run. It makes more sense that Nashville will try to work out a trade with the Golden Knights, but if Neal is exposed, one has to wonder what Vegas would have to accept to turn down taking Neal in the expansion draft. The Anaheim Ducks have been at the top of most people’s watch list for the expansion draft. Because they have such depth on defense, Kevin Bieksa was rumored as the target internally for the organization but instead, it looks like Bieksa wasn’t even asked and the Ducks have a trade possibly in place for Sami Vatanen. 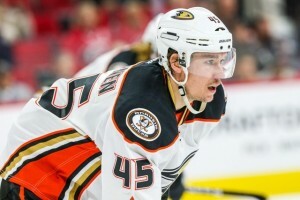 As many as six or seven teams have lined up to acquire Vatanen and the Ducks have decided to get good value for him now. Among them are the Toronto Maple Leafs, Tampa Bay Lightning and New Jersey Devils. Interest in Jordan Eberle has started to pick up and leading the way seems to be the New York Islanders. The Edmonton Oilers are actively talking to teams about the right-winger but they have decided that Eberle has much more value than the poor reputation that followed his less than stellar regular season and disappointing playoff performance. The Oilers are not stacked at right wing and not willing to give Eberle away. But, they are congnzant of their future cap issues that may require some creativity come next summer. Any trade involving Eberle may come after the 2017 NHL Expansion Draft comes and goes. It appears at least three teams have expressed interest in Smith and among them are the Calgary Flames. The Coyotes are not in a hurry to move Smith, but if good value is presented to them, are also not shy about making a move. 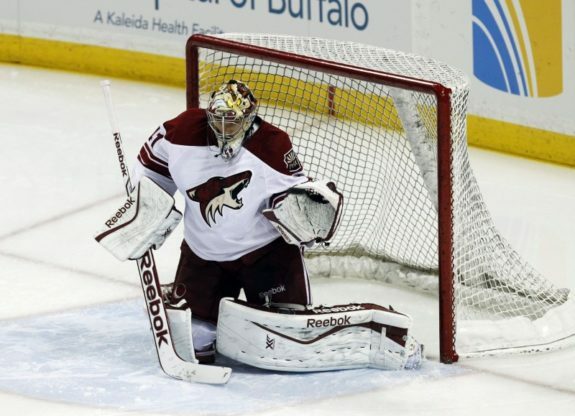 Smith is not wanting to leave Arizona, but the Coyotes are not expected to be a strong team and with only two years left on his contract and now a 34-year-old goaltender, Smith may decide to go where he’s got a chance to win. Marc-Andre Fleury has agreed to waive his no-move clause and will likely be traded or picked up in the expansion draft while Dion Phaneuf was asked, but most believe will decline and stay in Ottawa.